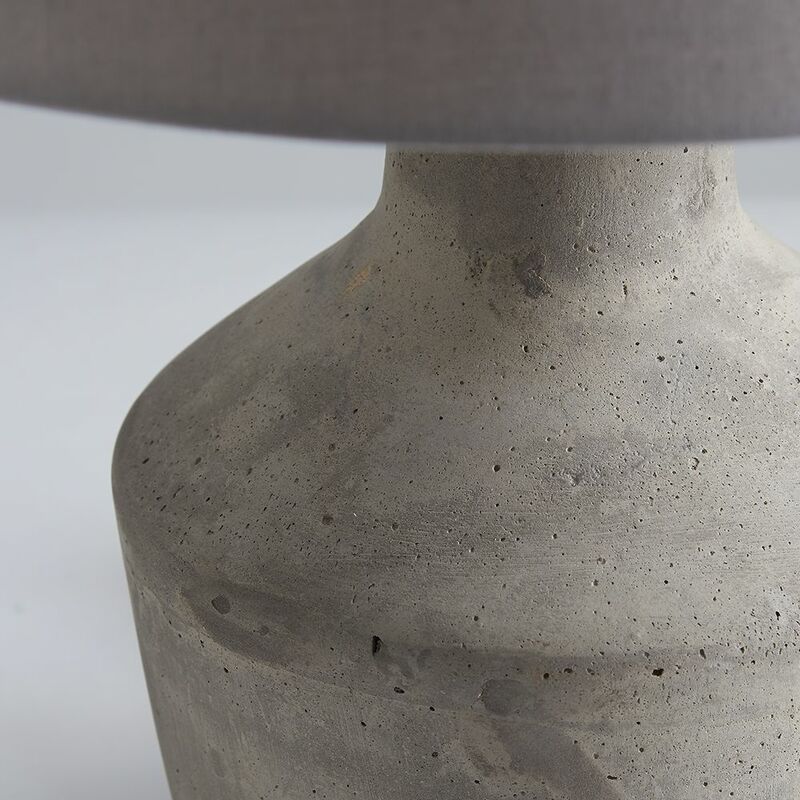 This cool antique bottle shaped lamp consists of a roughly poured concrete base, with all its natural imperfections and a light grey cotton shade. 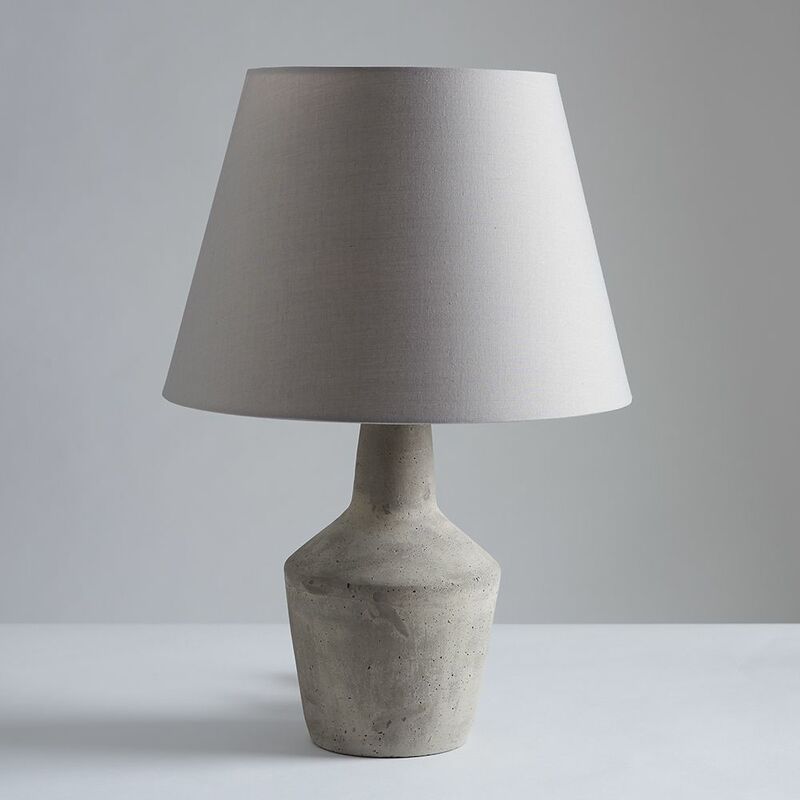 Overall Height 52cm (inc. shade) Width 38cm (inc. shade) Depth 38cm (inc. shade). Takes a maximum 60W bulb.